Rotterdam is a post-apocalyptic futuristic city 40 miles south of Amsterdam. I understand this sounds like the opening line of a movie, but it’s real. During World War II, (1940- 1945) the city of Rotterdam experienced massive bombing raids that leveled the entire city. Nothing was left except a few homes and the St Lawrence Church. The city decided to rebuild better than it was before. There seemed to be no thought of nostalgically rebuilding the old city, as it would be at the expense of a more modern future. And modern it is. Here are 6 reasons why Rotterdam is the Netherlands, best kept secret. I’m not into architecture. I don’t seek out buildings when I”m traveling. However, in Rotterdam, you cannot help but marvel at the buildings. Instead of buildings, Rotterdam looks like art sculptures that people happen to live in, work in or frequent. Rotterdam has a rich cultural life. Renowned museums, art institutions and galleries display the most controversial art, both old and new. Outdoors you also come across the most beautiful artworks and graffiti. Water Taxi’s and Water buses. I think it’s a cool way to get around. Skyline with great city views. I found Rotterdam to one of the most multicultural cities in Europe. Rotterdam is also a multicultural melting pot that revels in its diversity. With a population where 50% are non-Dutch or have only one Dutch parent, there is a large presence of people from North Africa, Turkey and the former Dutch colonies: Indonesia, the Dutch Antilles and Suriname. Rotterdam’s multicultural vibe is on display every year at its Zomercarnaval (summer carnival). Every July the annual 3-day Caribbean carnival, reminiscent of the carnival in Rio de Janeiro, makes its way through the streets of Rotterdam, bringing close to one million visitors from around Europe to see the vibrant and colorful costumes and floats and to dance in the streets to the Latin rhythms. As a Caribbean, I will be back for CARNIVAL!!! Transavia We loved taking Transavia. It was only going home, but everything went well and the plane was comfortable. See our review of Transavia. One of the fastest and easiest ways to get to Rotterdam is to travel by train. Intercity trains hailing from every corner of the Netherlands make a stop at Rotterdam Central Station, including the high-speed train. When travelling from France and Belgium, you should take the Thalys (it runs ten times per day). When travelling from the United Kingdom, you will arrive by Eurostar (and transfer to the Thalys in Brussels). You can find more information about routes, departure times and prices on www.ns.nl (domestic travel), www.nsinternational.nl (from and to destinations abroad) and www.thalys.mobi (Thalys). Another option is to use Interrail or a Eurorail pass for unlimited train travel. You can buy a pass for one country, all of Europe or 2 – 3 countries. There are two programs Eurorail and Interrail. Eurorail is the pass for non-EU residents and the Interrail is for EU residents. The great thing about Eurorail and Interrail is, Kids are FREE!!! For The Netherlands, you would purchase a Benelux Pass. The Eurail Benelux Pass is your key to exploring Belgium, the Netherlands, and Luxembourg by rail. The comfortable and fun way to explore the Benelux countries. Arrive in the center of each city ready to start exploring. Visit popular destinations like Amsterdam, Brussels and Bruges. NEW: Includes the Eurostar train between Brussels and London! Traveling with a family, the interrail or eurorail passes makes traveling with a family through Europe fun and affordable. I love traveling by train and the kids will too. Obviously, any true port city can be reached by boat! You can travel to Rotterdam by ferry from the United Kingdom. P&O Ferries and Stena Line offer regular ferry services between the United Kingdom and the Netherlands. Stena sails from Harwich, England to Hook of Holland, and it takes 30 minutes to travel from there to Rotterdam. P&O sails from Hull to Rotterdam Europoort. De Jong tours operates a shuttle service between Rotterdam Europoort and the city. 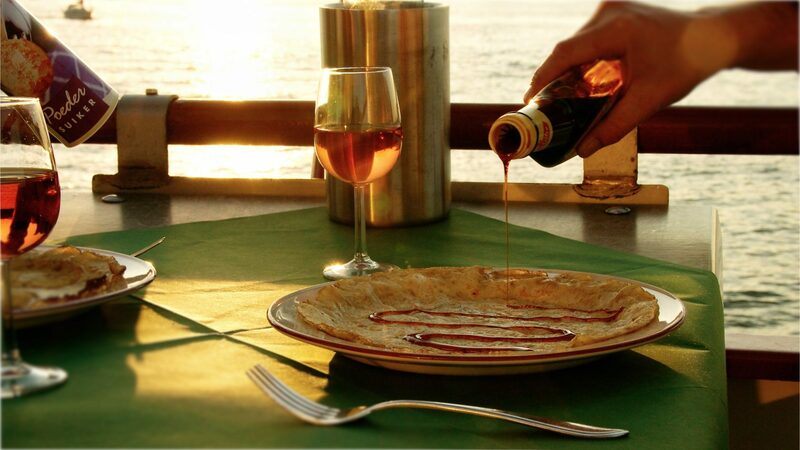 How awesome is a pancake cruise? First it’s a bus, then it’s a boat, then I’m losing my mind. One of Europe’s most beautiful zoos. Wander through different parts of the world in one day. Discover fascinating animals. Diergaarde Blijdorp is a zoo in the northwestern part of Rotterdam, one of the oldest zoos in the Netherlands. In 2007 it celebrated its 150th anniversary. Explore the city by Bike. Here is our experience riding a bike in Rotterdam. Warning, not for the faint of heart. Explore the city by boat. Here is our trip on the water taxi. Kunsthal Rotterdam – A phenomenal diversity and abundance of art. Museum Boijmans Van Beuningen – An unbelievable journey through western art history. Het Nieuwe Instituut – A complete overview of Dutch architecture. Euromast is an observation tower in Rotterdam, Netherlands. You have a great view over the entire city, plus they have a snack bar, dinner area. You can even sleep at the top. Het Park. Our Visit to Het Park. An idyllic park in the middle of Rotterdam. Yes, Rotterdam has a beach! There are many supermarkets in Rotterdam, usually within walking distance from where you are. I would ask at your accommodation. There are no large mega supermarkets in Rotterdam. But, there is Aldi’s. Markaal is an large indoor market in Rotterdam. I recommend visiting. There are many different restaurants and food stalls. We bought the best spices from the spices stall (I don’t remember the name). When we got home we use the spices religiously until finished. Now we’re sad. There are so many restaurants to choose from in Rotterdam. You have many different types of food form cultures all over the world. You also have various price ranges. The Netherlands have a bad reputation when it comes to weather. Most people think the weather is terrible. Rotterdam gets cold in the winter, warms up during the spring is hot in the summer and cool in Autumn. We were in Rotterdam the first week of June. It was warm and sunny for 2 days, then intermittent sunshine and rain for 2 days. The weather changes fast, so be prepared to dress in layers so you can add and take clothes away as the weather permits. For example, the morning can start cloudy and rainy, and a few hours later, it can be bright sunshine and hot. Rotterdam is a compact city and a walking is often the best way to get around the city, but if you travel further, Rotterdam offers an excellent public transport service. But with kids in tow, you may want to take the metro. The metro in Rotterdam is the most efficient way to travel in Rotterdam because there’s a metro station nearby in most of the cases. You can use the metro to travel around in Rotterdam but also to surrounding cities like Capelle aan den IJssel, Spijkenisse, Hoogvliet, Rhoon and even to the beach in Hoek van Holland. Metro line E takes you even to The Hague. Another popular way of public transport in Rotterdam is the tram. The tram is very useful for short distances and takes you to locations which are not covered by metro. You can take the tram to travel to the south of Rotterdam for example, because the metro does not reach everywhere. There are special high-speed trams available which will quickly take you there. Buses in Rotterdam also take you to places where the metro doesn’t run including surrounding cities. The metro, bus and tram stops are clearly indicated and on electronic signs you can see how long it takes before the next ride starts. The biggest transport hub in Rotterdam is Central Station, followed by Rotterdam Zuidplein and Rotterdam Blaak, where different ways of public transport are connected together. You need a travel chipcard if you want to travel with public transport in Rotterdam. You can buy this card at many places including the service desks and ticket machines at the stations. Travelling with a travel chipcard is very comfortable because you can change between the different ways of public transport without having to buy a ticket each time. Tourists can also buy the Rotterdam Welcome Card or the Tourist Day Ticketwhich combines free public transport with discount on attractions and museums in Rotterdam and other locations. The Rotterdam water taxi operate the super fast so called Maas taxis with a capacity of 8 to 12 passengers. You can book a water taxi service online or by phone one day in advance. If you want to make a reservation the present day, book by telephone. Their telephone number is written on the information panel at the water taxi landing stages in Rotterdam. The cost for a water taxi ride appears on your screen if you book online. Water taxi Rotterdam uses a fixed transport fee: this rate depends on the number of passengers and the distance covered. A short boat trip for two costs about €12 and an additional €2,50 per passenger on top. Water taxi Rotterdam also operates slower classic boats on a fixed schedule between Hotel New York, the historic Veerhaven at the Maritime Quarter and Leuvehaven near the Maritime Museum Rotterdam. This ferry service departs every 15 minutes from the Northern shore to the Southern shore of the river Maas and is competitively priced: €2,90 to Veerhaven and €3,60 to Leuvehaven. Children get a discount. Operating hours: Monday to Thursday: 9 am – 11 pm and Friday to Sunday: 9 am – midnight. Reservations for the Watertaxi HNY are not necessary. The water taxi has about 50 landing stages along the Maas in Rotterdam, but also in greater Rotterdam. The Water taxi Rotterdam has a stop at most tourist sites like historic Delfshaven harbour, the Euromast panorama tower, the historic Veerhaven, the famous Hotel New York in Rotterdam, museum steamship ss Rotterdam, soccer stadium Feyenoord, the Maritime Museum and the Old Harbour of Rotterdam. 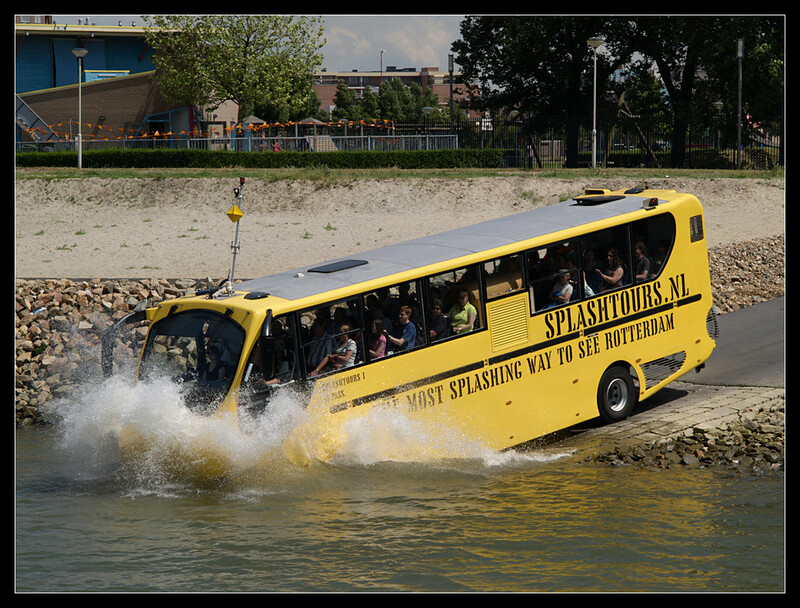 You can also book a water taxi to make a scenic tour through Rotterdam. Tours are offered along the skyline of Rotterdam from 15 to 90 minutes. Average cost to visit Rotterdam per person, per day. Even if you are counting a young child, count the child as a person. This includes cost of accommodation, transportation, activities and food. This is a ball park figure of how much it would cost to take a trip to Rotterdam. When you are booking hotels, activities etc, keep these numbers in mind to see if you are on the right track. You can be higher or lower depending on your class of hotel, how expensive or inexpensive your food choices and if you have a self catering apartment and cook most of your meals. Thanks for your personal marvelous posting! I genuinely enjoyed reading it, you are a great author.I will be sure to bookmark your blog and may come back very soon. I want to encourage yourself to continue your great writing, have a nice weekend! My developer is trying to persuade me to move to .net from PHP. I have always disliked the idea because of the costs. But he’s tryiong none the less. I’ve been using Movable-type on several websites for about a year and am nervous about switching to another platform. I have heard good things about blogengine.net. Is there a way I can import all my wordpress content into it? Any help would be greatly appreciated!